Oliver’s Restaurant has a wide range of culinary delights on offer from home cooked classics to gourmet delights as well as an extensive wine list and a fully stocked bar. 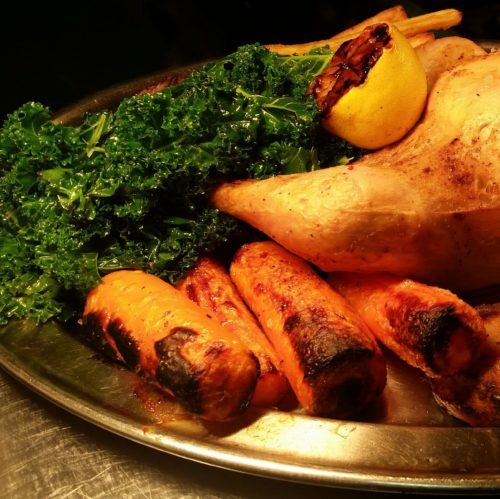 Sunday Lunch at Haughton Hall offers amazing value, and has an added twist of ‘Carve Your Own Chicken’ to make it that bit more memorable. This gift voucher entitles two people to a three course Sunday lunch available from 12.30-3pm. Reservations should be made by calling 01952 468 300. The menu is available to view at www.haughtonhall.com. Reservations are not available on Mother’s Day, Christmas Day, New Year’s Day or other special events. Reservations should be made at least 48 hours in advance and gift vouchers are non-refundable but transfers are available with 48 hours in advance. Gift vouchers are valid 12 months from the date of purchase.